If your child stutters, you’re not alone. According to the Australian Stuttering Research Centre (ASRC) at the University of Sydney, about 1 in every 12 children in Australia stutters. The condition ranges from barely perceptible to sufficiently severe that the child who struggles with the condition can barely be understood. In most cases, stuttering begins between the ages of two and six. Boys are approximately three times more likely to stutter than girls. Children who stutter experience the extent of the challenge differently depending on the circumstances which confront them. For example, for many children who stutter, activities like singing or speaking in unison with others reduces the symptoms of stuttering, while things such as speaking in front of a group or talking on the telephone tend to exacerbate the problem. There are two primary types of stuttering—developmental and neurogenic. The causes of each type differ. 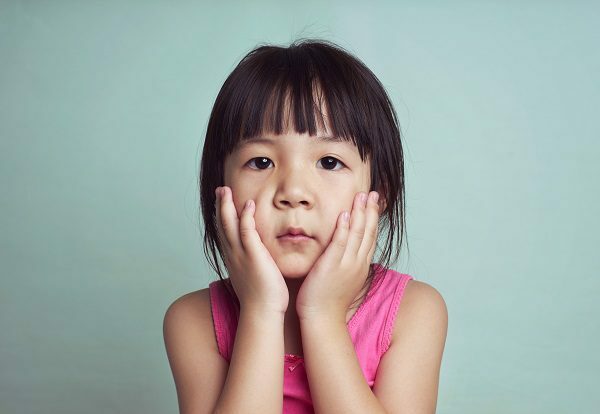 As its name suggests, developmental stuttering—the most common form of stuttering—occurs in young children, typically while they are still learning speech and language skills. The lion’s share of research on the subject suggests that developmental stuttering results from the interaction of multiple factors. For example, for some children, the ability to formulate words lags behind verbal comprehension skills. Your child, in other words, knows what he wants to say, but the physical mechanisms upon which articulate speech is dependent are not sufficiently mature to match what is in his mind with what he is able to say. The ASRC also suggests that genetics may also play a role in the development of stuttering, which tends to run in families. Neurogenic stuttering results from various kinds of injury to the brain. Individuals who suffer strokes or head trauma may being to stutter because the injury has impaired their brain’s ability to coordinate the several regions of the brain associated with producing articulate speech. In most cases a trained speech pathologist (a health professional skilled in testing and treating individuals with voice, speech and language disorders) diagnoses stuttering by analysing a variety of factors. These include your child’s history of stuttering, the specific manifestations of stuttering, an analysis of the extent to which language ability has been impaired, and the ways in which stuttering has impacted his social life. Among the speech pathologist’s determinations will be the likelihood that the problem will be protracted, or alternately, that your child will simply outgrow it. In general, between 70-75% of children who stutter recover naturally, without treatment. Although some medications (such as those used to treat epilepsy, anxiety and depression) have shown limited promise in mitigating the problem, none have been specifically approved for the treatment of stuttering. The most common (and, according to the research, the most effective) treatments for stuttering are behavioural, and typically involve an active partnership between speech pathologists and parents. If your child stutters, a speech pathologist might recommend that you work on providing a relaxed home environment in which your child is encouraged to speak as much as possible. Other effective approaches include adults slowing their own speech, which will allow your child to reduce the rapidity of his own speech. Talking openly and honestly about stuttering, also does a lot to reduce the social stigma often associated with it. Developed in Australia, the Lidcombe Progam is a world-leading treatment program that has helped thousands of children overcome their stutter. Although the program was developed for children age six and younger, it has also proved effective in older children. The program, although monitored and taught by speech pathologists, is conducted by parents, in the home. The Lidcombe Program is a true partnership between families and therapists. During weekly speech therapy sessions, the speech pathologist teaches the parent how to deliver the program at home, and provides feedback so that parents and children know how to take the next step. As well as learning how to give feedback effectively, the parent also learns to measure the child’s stuttering by scoring it each day. At each clinic visit, the speech pathologist and the parent look at these severity ratings for the previous week to see what effect the treatment is having outside the clinic. This is an essential process because to be truly resolved, stuttering has to be fixed outside the speech therapy clinic in the real world. The Lidcombe Program is conducted in two stages. During Stage 1, the parent conducts the treatment each day and the parent and child attend the speech clinic once a week. This continues until stuttering either disappears or reaches an extremely low level and is able to progress to Stage 2. The aim of Stage 2 is to keep stuttering away for at least one year. This phase of the program is sometimes referred to as a ‘maintenance phase’ during which the child attends speech therapy less often and the parents provides less feedback so that the child can generalise his emerging ability to ‘speak smoothly’. This maintenance part of the program is essential because it is well known that stuttering can reappear after a successful treatment. Of course, all children and families are different, and speech pathologists takes this into account when supervising the treatment which can be adjusted to suit each child and family. Stuttering is one of many developmental challenges faced by young children in Australia and around the world. These challenges can have profound consequences for your child’s self-esteem and the quality of his social interactions. In most cases, collaborative intervention by trained speech therapists who work with parents and children can be remarkably effective in mitigating the extent of these challenges. Kids First’s highly trained speech pathologists have experience in helping children to overcome stuttering. To learn more about how we can help your child, contact us today.